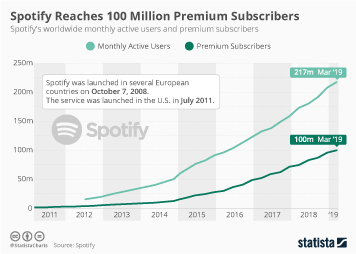 Music streaming in the United States reached a major milestone in 2016, when it accounted for more than 50 percent of U.S. music revenues for the first time. 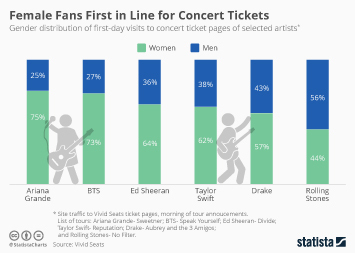 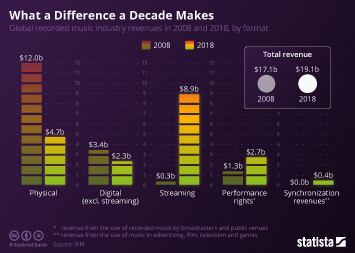 Figures released in Nielsen’s 2018 Mid-Year Music Report underline once again how important streaming has become to the music industry in the few years since its emergence. 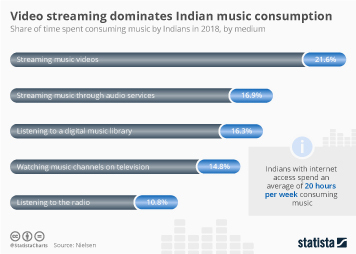 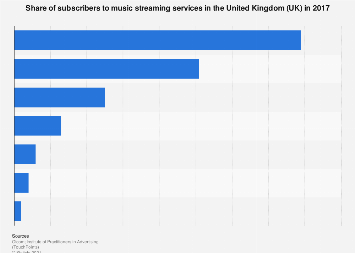 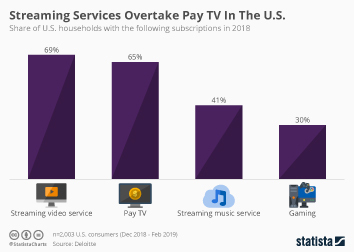 In the first six months of 2018, Nielsen counted 403 billion on-demand music streams (incl. 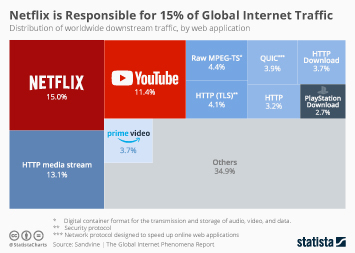 video and audio streams) in the United States. 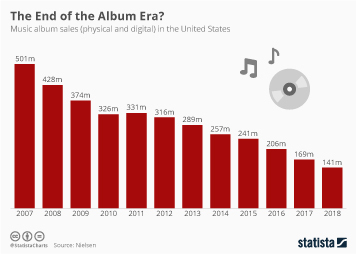 That equates to nearly 270 million albums sold, assuming that 1,500 streams are equivalent to buying one album. 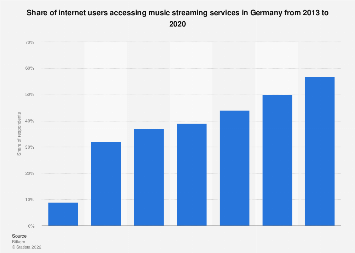 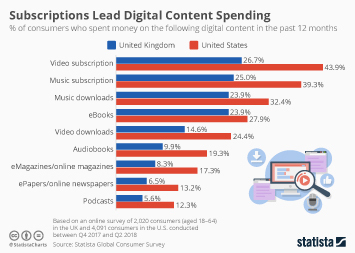 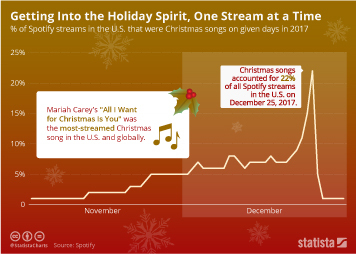 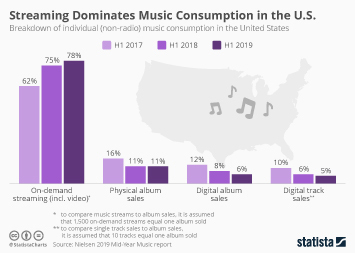 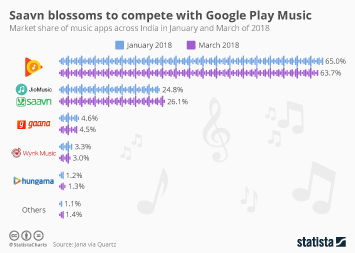 As our chart illustrates, streaming now accounts for 75 percent of music consumption in the U.S. when compared to physical and digital music sales using this method, up from 50 percent in the first half of 2016. 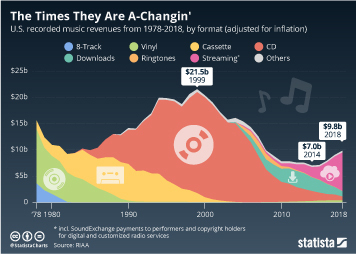 This chart breaks down (non-radio) music consumption in the United States.